From H~Town🔥🌞 Realest person you'll ever meet 👌 I’m a serious product junkie! 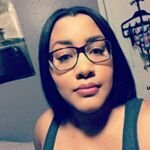 I try a lot of new products and I love to let people know about products that are to die for!!! I love how much volume this gives my lashes but I don’t like how clumpy it is. It’s not good for layering. It seems to dry out very quickly. It’s just an okay mascara. It provides length and volume, but I would recommend another mascara since the price point is high and no one likes clumpy mascara. This is another mascara that made my eyes really watery and sensitive. Not sure what was up with this one but it smudges and I cannot stand that especially because it’s pricey. I don’t really recommend this mascara. I really wanted to like this mascara, but it just didn’t agree with my lashes. It made my eyes watery and sensitive. The packaging is so cute and the wand is nice, but there are better mascaras out there. This is a nice blush. I’ve used Nars blush for years. Nars makes a blush shade for every skin tone. The color pay off is amazing and I love how it blends in nicely with the rest of my make up. The only thing that I don’t really care for is how pricey it is. I was so excited to use this foundation. It’s claims had me hype! The foundation it self has a nice finish , but I was very disappointed in the lasting power and the smell of the foundation is enough to make me return it. I have combination skin and I primed my face very well and it still ended up looking cakey fairly quickly and separated around my mouth and nose. It felt like I had on a thick layer of latex on my face. I just don’t like the way it feels on my face and the smell. It Just wasn’t for me. This moisturizer is amazing! It’s very smooth and silky. It’s extremely hydrating! I would recommend this to anyone who likes almond scent. This cream smells absolutely amazing. I will continue to use it as long as they make it. This little brush applies my foundation so flawlessly! It’s really dense and small enough to get between the eyebrows and side of head. If you have a smaller face you will love this brush! I definitely recommend!!! This is one of my favorite mascaras. The color is very dark and the formula is great! I love the wand too! It has a curve at the end so it’s easier to get the smaller lashes on the end. Definitely recommend this. I’ve never had it get clumpy or smudge. This color is so beautiful! I was pleasantly surprised how nice the pigment was. It’s matte and very easy to blend. I definitely need to try the other colors! It’s just as good as my high end blushes. I definitely recommend this blush!